The book "The Untethered Soul" has spent months on the New York Times Best Sellers List, and is currently the #1 Best Seller on Amazon for "Cognitive Psychology". I was inspired to write this critique of "The Untethered Soul" because a priest of the Orthodox Church I attended was promoting this book, using it in his catechism classes, his counseling sessions, and basing his sermons on the non-Christian and evil contents found in its pages. I battled this priest for a very long time until I had to speak out against its dangers to the souls that came in contact with it. I write this post to give you an example of what "subversion" looks like in the 21st century in America. The best-selling books on spirituality and self-help psychology are popular with pastors and church-goers alike. St. Paul the Apostle teaches the Church in his instruction to Titus (Titus 1:9-14) that spiritual leaders (elders & bishops) should be aware of vain talkers and deceivers, who "subvert" whole houses (churches). 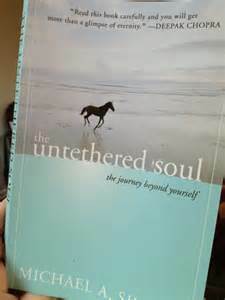 "The Untethered Soul" is a book directed toward the religious masses, and has found its way into many Christian home libraries. The author of this book targets Christians, and with subtlety attempts to subvert the follower of Christ who lacks a knowledge of Holy Scripture, and spiritual discernment. The book, “the untethered soul”, is antichrist in every respect. Antichrist by definition means “in place of Christ”, not just “against Christ”. The teachings of Michael Singer’s, “the untethered soul” (TUS), replaces the Faith of Christ with a false belief system. TUS replaces faith in the Christian God with a panentheistic worldview: “When the drop of consciousness that knows itself as an individual drifts back far enough, it becomes like the drop that falls into the ocean. The Atman (Soul) falls into the Paramatman (Supreme Soul). The individual consciousness falls into the Universal Oneness. AND THAT’S IT” (pg. 176). TUS reduces Christ to just one of many enlightened sages who Singer says taught that, “You can move from the finite to the infinite. Isn’t this what they’ve been trying to tell us – Christ, Buddha, and the great saints and sages of all time and all religions”? (pg.38). 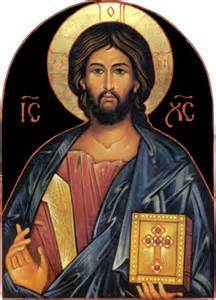 TUS misrepresents Jesus and his faith, and pours New Age meaning into his words (pg. 176). TUS deceptively subverts the faith of the ill-informed Christian, leading them away from Christ and the God of the Holy Scriptures, the Triune God revealed to the world by Jesus (Mt 3:16; Mt 17; Mt 28:18-20). TUS guides the reader to not rely on Scripture (pg. 142, 177), and instructs the reader that they have no need to “renounce the world” (pg. 142), nor does the reader need to repent (pg. 180), nor does the reader need to feel guilt and shame, they just feel that way due to being taught wrongly about God (inferring Christianity). TUS is completely committed to the ideal of syncretism, the unification of all religions, and strips the Christian faith of its uniqueness and exclusive claims as the “One True Faith”. TUS lumps Christ and His faith in with the religions and spiritual practices of Hinduism (pg. 53); Buddhism (pg. 128); Taoism (pg. 165); Yoga and Yogic teachings and techniques (pg. 22, 23, 32, 43, 53, 145, 147); and meditation (pg. 47, 145). Throughout TUS Singer makes one “truth claim” after another, using subtlety to deceive the reader that what he is preaching is the ultimate truth. TUS presents an antichrist anthropology. TUS is an absolute refutation of the Christian faith, teaching that your own actions can lead to liberation. TUS teaches that there is no need for a Savior, and there is nothing to be forgiven. You are the answer to your own dilemma. Syncretism is the reconciliation or fusion of differing religious beliefs. Singer deceives the reader when he describes the “flow of energy” inside you. He writes, “It’s been called by many names. In ancient Chinese medicine, it is called Chi. In yoga, it is called Shakti. In the West, it is called Spirit. CALL IT ANYTHING YOU WANT. All the great spiritual traditions talk about your spiritual energy; they just give it different names.” (pg. 44). In chapter 4, “The Lucid Self”, Singer writes, “You can move from the finite to the infinite. Isn’t this what they’ve been trying to tell us – Christ, Buddha, and the great saints and sages of all time and all religions”? (pg. 37, 38) While explaining ”your center of consciousness” Singer pushes syncretism, “That is the seat of the Buddhist Self, the Hindu Atman, and the Judeo-Christian Soul” (pg. 29). Singer, while explaining the Hindu doctrine of chakras, energy centers, writes “This energy flow has been referred to as Shakti, Spirit, and Chi, and it plays an intricate part in your life” (pg. 50). In chapter 18, Singer opens by promoting Taoism, describing it as “one of the deepest of all spiritual teachings” (pg.165). He ends the chapter making this claim, “All the great teachings reveal the way of the center, the way of balance” (pg. 172). Jesus is not one of many ways. Jesus said, “I Am the Way, the Truth, and the Life; no one comes to the Father (God) but by me” (John 14:6). 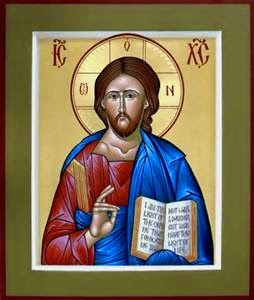 Then finally, in what is utter blasphemy, pouring New Age dogma into the words of Jesus, Singer writes, “In the mystical Gospel of John, Christ says, “That they all may be one; as thou, Father, art in me, and I in thee, that they also may be one in us…I in them, and thou in me, that they may be made perfect in one…” (John 17:21-23). So it was taught in the Hindu Vedas; so it was taught in the Jewish Kabbalah; so it was written by the great Sufi mystic poets; and so it was taught in all the great religious traditions of all time. Such a state exists; one can merge into the Universal Absolute. One can merge into God” (pg. 176). Singer teaches the Yogic tradition of Hinduism introducing “chakras” (pg. 50) and “Samskara” (pg. 53-58). Singer writes, “In the yogic tradition, that unfinished energy pattern is called a Samskara. This is a Sanskrit word meaning “impression”, and in the yogic teachings it is considered one of the most important influences affecting your life” (pg. 53). Singer says of yoga, “Yoga is not really about getting your body healthy, although it does that too. Yoga is about the knowledge that will help you out of your predicament, the knowledge that can free you” (pg. 22). In the concluding remarks of her mini-book, “An Orthodox Posture on Yoga” (Conciliar Press), Christine Mangala Frost writes “Christians undertaking yoga should be fully aware that its Hindu-Buddhist spiritual ethos is incompatible with the Christian faith” (pg. 13). Frost continues, “Even greater caution is necessary with what is taught as “meditation.” Some advanced forms of meditation exercises change one’s brain rhythms and lead to a sense of euphoria which can be addictive…Breathing techniques aimed at rousing what is called kundalini, dormant sexual energy which is then sublimated into spiritual energy, are particularly dangerous, as they expose one to psychic forces beyond one’s control”. Singer writes, “Ramana Maharshi (1879-1950), is a great teacher in the yogic tradition, used to say that to attain inner freedom one must continuously and sincerely ask the question “Who am I?” He taught that this was more important than reading books (think Bible), learning mantras (think Jesus Prayer), or going to holy places (think Church)” (pg.23). Singer writes, “Fortunately, the nature of consciousness has been studied very closely in deep teachings such as yoga. In fact, the ancient teachings of yoga are all about consciousness” (pg.32). Singer happily sings, “If you take on this path of unconditional happiness (chapter 15), you will go through all the various stages of yoga” (pg.145). And Singer continues his teaching of Yoga, “One of the ancient names for God in the yogic tradition is Satchitananda – Eternal, Conscious Bliss. God is ecstasy” (pg. 147). In chapter 13, “Letting Go of False Solidity” Singer teaches Buddhism. “The Buddhists have a term for this: “clinging”” (pg. 128). This entire chapter is dedicated to this Buddhist doctrine. And Singer sings the praises of Taoism, “No discussion of living life as a spiritual path is complete without addressing one of the deepest of all spiritual teachings, the Tao te Ching” (pg.165). Singer writes, “If you try to read about God in a book, you’ll find five other books that say the opposite” (pg.177). In the middle of one of Singer’s most outlandish paragraphs he writes, “You don’t have to learn Sanskrit or READ ANY SCRIPTURES. You don’t have to renounce the world” (pg. 142). Christians should know that the Holy Bible is a unique and exclusive revelation of the True and Living God to humankind. That “all scripture (the Law, the Prophets, and the Writings) were given (to us) by the inspiration of the Holy Spirit”. The Holy Scriptures of the Old and New Testaments are the words of God (2 Timothy 3:16; 2 Peter 1:20, 21; Revelation 19:10 ). Singer apparently writes TUS to subvert the Christian faith of those who lack a Scriptural-Mind. Over and over again Singer makes truth claims about his teachings and techniques. Using words and phrases like “true”, “in truth”, “ultimately”, “Now the truth is” and “The fact is”. When writing about “Infinite Energy” (Chapter 5) Singer says, “True spiritual teachings are about this energy and how to open it” (pg.44). He closes this chapter claiming, “The most important thing in life is your inner energy” and, “Through meditation, through awareness and willful efforts, you can learn to keep your centers open. You do this by just relaxing and releasing” (pg. 47). In TUS Singer is introducing the unsuspecting Christian reader to Gyana. On the very first page of TUS Deepak Chopra praises the TUS and Michael Singer saying, “In the book, The Untethered Soul, Michael Singer takes you step-by-step through the process of Gyana, the yoga of the Intellect, to the Source”. TUS is indoctrinating the unsuspecting Christian reader in Yogic processes that are antichrist and antichrist spiritual practices. Singer writes, “After you’ve put years and years into this process, and learned to let go no matter how deep the pain, you will achieve a great state. You will break the ultimate habit: the constant draw of the lower self. You will then be free to explore the nature and source of your true being – Pure Consciousness” (pg. 67). Singer writes, “Ultimately, the word “beyond” captures the true meaning of spirituality”, and “in truth everything is infinite” (pg. 119). Singer in his deceitful cunning, in his antichrist craft and treachery, poses this question to be contrary to the Gospel, “Who are you that is lost and trying to build a concept of yourself in order to be found”? (pg.131) TUS contradicts Jesus, as Jesus taught that the Prodigal Son “was dead, and is alive again; he was lost, and is found” (Luke 15:24, 32). And, “For the Son of man is come to save that which is lost” (Matthew 18:11). Singer saves his most cunningly devised deceptions for the final chapter where he attempts to seal the deal that his brand of New Age religion is the truth, and the way, to experience life; to experience the Divine Force. In chapter 19, “the loving eyes of god”, Singer boldly teaches panentheism; expounds Buddhist thought; promotes syncretism; deconstructs Christian truth; champions the new tolerance (which is not tolerant at all); commits overt blasphemy against Jesus; distorts the teaching of Jesus concerning “judging others”; twists the gospel teachings of Jesus; distorts the Christian theology of love; and denies the God of Christian Orthodoxy saying that God is “Universal Consciousness”, the “Universal Absolute”. This list is derived from just the eight pages of this chapter, and isn’t even a complete list of the errors that could be found therein. In Paragraph 1 Singer is saying there is NO revelation or teachings that truly reveal God. Singer is saying any “teachings...concepts…views about God” have been ruined by the touch of humans. The Orthodox Church would refute this claim. Jesus became incarnate, Jesus established the Church as the pillar and foundation of Truth, and Jesus inspired the scriptures of the Holy Prophets and Apostles. In Paragraphs 2 – 10 Singer has me feeling feelings about how I feel! Singer is teaching about “Spiritual growth”, and that “there is a direct connection with the Divine” within us. We just need to practice the false religions of Hinduism, Yoga, and Buddhism so we can get our vibrations just right through disassociation with the physical and psychological parts of our being! Twenty three times (23) in these 9 short paragraphs Singer employs the words: feel, feels, felt, or feelings. This ploy plays into the weakness of the modern reader who has been trained to relate to what they see or read based on “how they feel about it” rather than “what they think about it objectively”. Singer is counting on the reader to not think critically or objectively about the material, but rather to respond emotionally, to be led by how they feel about what they are reading. In Paragraph 11 Singer blasphemes the Word of God. In his zeal to promote syncretism, he describes what will happen to you as you practice his religion. In Paragraphs 12 - 17 the reader is walloped with so much antichrist religion a book would have to be written to refute it all. Singer loves to plant antichrist seeds of doubt in his reader’s minds, saying, “Ultimately, how do you really know anything about God?” (The Christian knows about God through the incarnation of Christ, His Church, and the Holy Scriptures). Then in the next sentence Singer tells you that people “who have gone beyond have come back and said that the Spirit you’re experiencing is the doorway to God”. 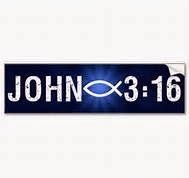 The true love and light that comes from God comes to humanity through the person of Jesus Christ (Read all 5 chapters of 1 John). But the love and light promised by Singer to his devotees is a false gospel, with a false spirit, that originates with the serpent that beguiled Eve through his subtlety (2 Corinthians 11:3, 4). The end result of Singers TUS spirituality is that your unique personhood is swallowed up into some “ultimate expansiveness”, and the person becomes “like a single drop of water merging into the ocean”. You are nothing more than a “drop of consciousness” that is hoping someday to be absorbed into the “universal consciousness”. This is pure panentheism. Singer commits blasphemy when he contorts the very words of Jesus to teach his demonic spirituality. “When that happens (you, the drop, falling into the ocean), people say interesting things like, “I, and my Father are one” (John 10:30) and “…the words that I speak unto you I speak not of myself: but the Father that dwelleth in me, he doeth the works (John 14:10). They all spoke like that. 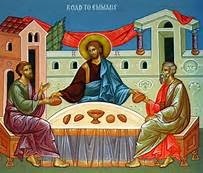 They said they had merged and that there was no differentiation within the Universal Oneness of God…In the mystical Gospel of John, Christ says, “That they all may be one; as thou, Father, art in me, and I in thee, that they also may be one in us…I in them, and thou in me, that they may be made perfect in me…” (John 17:21-23). So it was taught in the Hindu Vedas; so it was taught in the Jewish Kabbalah; so it was written by the great Sufi mystic poets; and so it was taught in all the great religious traditions of all time. Such a state exists; one can merge into the Universal Absolute. One can merge into God”. How can an Orthodox Christian priest stomach this book for one moment, let alone, read it over and over and over, then teaching it and counseling from it and preaching sermons from it, and promoting it? Finally, in paragraphs 18 – 35, Singer gives us a string of his doctrines, all the while attempting to deconstruct Christian faith that may be present in the reader’s heart. Those who possess a scriptural-mind will discern the falsehoods presented by Singer. Singer writes that you cannot know God by reading a book (he is inferring the Bible); Singer introduces “the Divine Force” as God, and says this Divine Force possesses a love that is without judgment, “We all know that true love doesn’t judge”. 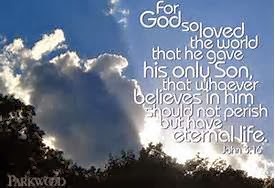 Referring to the Christian and Biblical description of God (God is love – 1 John 4:8) Singer seeks to define according to his religious views what “God is love” means. To Singer, God does not judge. And neither should we judge. He twists the scriptural ideals and ideas concerning love and judging. Singer “feels” that guilt, fear, and shame have no place in our relationship with God. He says we have nothing to apologize (repent) for (para. 32). All we need to do is practice all the processes and techniques that he, Singer, writes about. Then, everything will be okay as we “let go”, “get centered”, “fall behind”, and “drift upwards”. Visit www.TheUntetheredSoulExposed.Blogspot.com for chapter-by-chapter critiques to be added in the future. 2 Peter 1:1-21 > You must know that the Scriptures were Spoken by holy men who were moved by the Holy Spirit > That the Scriptures were not given a private interpretation, (the prophets - Apostles - Evangelists recorded the Voice of the Spirit in Scripture), but were truly written under the inspiration of the Holy Spirit > You must know that the Scriptures are a "more sure word of prophecy", meaning more sure than actually hearing a voice from heaven like Peter did on the Mount of Transfiguration (Matthew 17:1-5) > The Scriptures can be trusted, believed , obeyed, and acted upon > And note the context of verses 16-21 by looking back to verses 1 - 15 > God is calling us to "partake of the divine nature"(verse 4) > And how do we do that? By the exceeding great and precious promises (verse 4) and by the things that pertain to "life and godliness" that His divine power has given to us (verse 2) . It's by this knowledge that the Grace and peace of God are "multiplied" to us - It is how what is written in verses 5-15 become a reality. John 14:15-23 > Keeping the words of Jesus brings you into communion with the Holy Trinity. Acts 20:32 > The Word of His Grace is able to build you up > Deuteronomy 6:3-9 - You are to love God, put God's Word in your hearts, and teach them diligently to your children by speaking them at all times; when you rise up, when you walk in the way, when you sit in your house, and when you lie down > Joshua 1:8 - You are to meditate on the Word of God day and night. Ephesians 6:10-18 > We are to do spiritual warfare with "all kinds of prayer" taking "the sword of the spirit which is the Word of God" > We are to follow Jesus example - Matthew 4:1-11 - resisting the lies of the devil with "It is written..." > We are to "Let the Word of Christ dwell in us richly" by teaching and admonishing one another in "psalms, hymns, and spiritual songs"(Colossians 3:16) - This is done primarily when we gather together to pray the "Psalms" or "sing songs of true worship". Matthew 6:1-4 > "Take heed that you do not do your alms*** before men, to be seen of them: otherwise you have no reward of your Father which is in heaven. 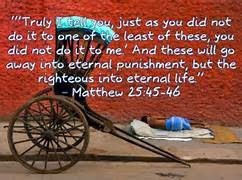 Therefore WHEN you do your alms, do not sound a trumpet before you, as the hypocrites do in the synagogues and in the streets, that they may have glory of men. Verily (truly) I say to you, they have their reward. But WHEN you do your alms, let not your left hand know what your right hand is doing: that your alms may be in secret: and your Father which sees in secret himself will reward you openly." 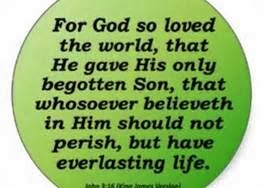 1 John 3:16-18 > This is how we know the love of God and how we know "if" the love of God lives in us > Are we laying down our lives for the brethren? we who have this world's goods(KJV, NKJV), material possessions(NIV), do we shut up our bowels of compassion(KJV), do we shut up our hearts(NKJV), do we not have pity(NIV)? James 2:14-26 > Read the entire book of James realizing that James is writing to the Church about the dynamics between the rich and the poor. James is laying out the tensions and temptations that we face in our relationships as brothers and sisters in Christ > How should we relate to one another? > And, how do our actions reflect on our relationship with God? Are we phonies? Are we true disciples? Is our faith dead or alive? > James 2:17 says, "Even so faith, if it has no works, is dead, being alone." So verse 15 and 16 is the "litmus test". Do you turn red with the acid of parsimony, or turn blue with the alkalinity of love? 1)Doing Alms, 2)Prayer, and 3)Fasting. > On all three accounts Jesus says, "WHEN", not "if", you "do alms...pray...fast". Whether you practice these three "disciplines", ie "disciple-deeds", is not optional, but a command, they are not a devotional choice, but an "obedience". > But how are these to be understood? 1 Timothy 6:5-11 > This passage is self-evident, almost too clear to believe > You brought nothing into this world, you certainly will take nothing out > Contentment is the issue, and what can help us is focusing on the topic of this post > by making "almsgiving" a spiritual practice, that defines who we are in the Kingdom of Life, we are cured of these temptations > If you carefully read the above passage - 1 Timothy 6:1-5 - you will see that we are warned to withdraw from those who teach "that gain is godliness"(verse 5) > We are to ignore those teachers who "teach otherwise, and do not consent to wholesome words, even the words of our Lord Jesus Christ, and to the doctrine according to godliness"(verse3) - We are told here by St Paul that these false "teachers of gain" "are proud, knowing nothing...men of corrupt minds, and destitute of the truth(verse 4,5) - Prosperity teachers are to be ignored, for no matter how slick their schtick, they do error, they twist the beautiful truth into an ugly lie. And the result, if you buy into their lies? They will plant in your heart the seeds of "desire to be rich" and "you will fall into a temptation and a snare, and into many foolish and hurtful desires, which drown men in destruction and perdition(verse9) - AND WHY IS THIS SO? "Because the love of money is the root of all evil; which while some coveted after, THEY HAVE ERRED FROM THE FAITH, and pierced themselves through with many sorrows"(verse 10) > The answer, the antidote to their poisonous doctrine - "FLEE", "O man of God, FLEE these things; and FOLLOW AFTER righteousness, godliness, faith, love, patience, meekness, FIGHT THE GOOD FIGHT OF FAITH, lay hold on eternal life. (verse 11,12). Phew!!! 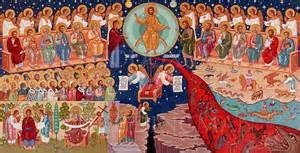 The first horror is that the sinner, banished to hell fire, will not partake in the glory of heaven, nor experience the light of the New Jerusalem. Revelation 21:1-22:5 reveals to us the vast contrast of those who "overcome" and "those not found in the book of life". For ages and infinite ages will those counted worthy, be a part of God's light and beauty, love and wisdom, mystery and infinity, drinking from the waters of life freely, living eternally in the very presence of God who has made His home among mankind. But those who resisted the love of God and the free gift of salvation through Jesus Christ will have knowledge, torturous knowledge of what they can not have. One may ask, "Do you think hell is seperation from God?" The answer is "Yes and No". "Yes", because the sinner in hell is seperated from the benefits, the blessings of heaven. But, "No", because God is in hell as He is everywhere, always. Listen to the Psalmist, "Whither shall I go from thy spirit? or whither shall I go from thy presence? If I ascend up into heaven, thou art there: if I make my bed in hell, behold, thou art there"(Ps. 139:7,8). It has been speculated that the sinner in hell will find the presence of God in hell an unwelcome torment. For God is love and Our God is a consuming fire. To the saint God's love is purifying and healing fire, to the sinner God's love is torment. Jesus speaks of the unprofitable servant being cast into outer darkness, where there is weeping and gnashing of teeth. The Outer darkness is Old Testament imagery for the curse that comes upon the disobedient, you are outside the camp. And here, seperated from the blessedness of heaven, and hating God, the sinner is found weeping, not in mourning, or because of pain, but he weeps in anger gnashing his teeth against God(Matthew 25:14-30). Shame, unrelenting shame, will be the eternal lot of sinners. 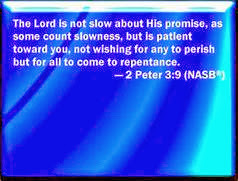 In the resurrection of the dead, those who are lost in their sins will "awake...to shame and everlasting contempt"(Dan. 12:2). St Paul warned Christians to be careful who they followed, saying, "Brethren, be followers together of me, and mark them which walk so as ye have us for an ensample. (For many walk, of whom I have told you often, and now tell you even weeping, that they are the enemies of the cross of Christ: whose end is destruction, whose God is their belly, and whose glory is in their shame, who mind earthly things.)(Phil. 3:17-19). Hell will be "the moonless place", a place of utter darkness, the deepest darkness, in the outer darkness. A darkness without escape, a darkness that presses in on you, suffocates you. You will be in a fire that has no brightness. You will for all eternity be found in a deep abyss, falling forever, never to land, never free of fright. Oh the horror of falling in utter darkness, with fire that has no light burning you, a darkness that shatters the soul. Poisonous flesh-eating worms that feast gluttonously on your flesh, never satisfied. Forever you will be in the company of your enemies, the demons. How horrific to be chained together with unseen murderers in a joyless place, filled with inconsolable grief. This deathless death that the sinner will endure is much more unbearable and bitter than the seperation of body and soul. This is the second death, which is eternal death. To some this sounds like exaggeration, but it is absolutely consistent with the teachings of Jesus. Jesus teaches in his "Sermon on the Mount" that "broad is the way that leads to destruction...every tree that brings not forth good fruit is hewn down and cast into the fire...then will I profess unto them, I never knew you, depart from me, you workers of iniquity"(Mt. 7:13,19,23). Jesus warned that "it is better for you to enter into life maimed, then having two hands to go into hell/gehenna, into the fire that never shall be quenched: where there worm dieth not, and the fire is not quenched". Jesus repeats this warning three times in a row(Mk. 9:42-47; Mt. 18:7-9). Jesus reveals what happens at the end of the world, at His second coming: He will send His angels to gather together all those who do iniquity, "And shall cast them into a furnace of fire: there shall be wailing and gnashing of teeth"(Mt. 13:37-43). Jesus warns of the "danger of hell fire" in Mt. 5:22 and again in Mt. 5:29 and 30. In Matthew 10 Jesus is teaching about the requirements for discipleship and says, "...fear not them which kill the body, but are not able to kill the soul: but rather fear him who is able to destroy both soul and body in hell/gehenna"(Mt. 10:28; Lk. 12:1-9). And once more, pronouncing the seven "Woes" upon the Scribes and Pharisees Jesus says, "Ye serpents, ye generation of vipers, how can ye escape the damnation of hell/gehenna"(Mt. 23:15,33). And yet once more, Jesus ends his parable of the talents saying, "And cast ye the unprofitable servant into outer darkness: there shall be weeping and gnashing of teeth."(Mt. 25:30). St Paul describes what will come upon the unrepentant sinner at the Second Coming of Jesus Christ. "When the Lord Jesus shall be revealed from heaven with His mighty angels, in flaming fire taking vengeance on them that know not God, and that obey not the gospel of our Lord Jesus Christ: Who shall be punished with everlasting destruction from the presence of the Lord, and from the glory of His power; When He shall come to be glorified in His saints, and to be admired in all them that believe..."(2 Th. 1:7-9). St Paul explains how the sinner who resists the goodness of God that leads to repentance hardens his impenitent heart storing up for himself wrath which will be revealed against him on "the day of wrath and revelation of the righteous judgment of God"(Rom. 2:4,5). The life of the sinner beyond the grave is called "destruction" by the God-inspired Apostles. "The enemies of the Cross of Christ: whose end is destruction"(Phil. 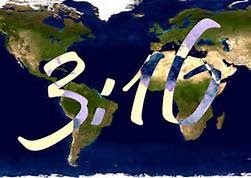 3:18,19). There end is "the lake that burns with fire and sulphur"(Rev. 21:8). They have only to look forward to a certain fearful judgment and fiery indignation which shall devour them(Heb. 10:27). And "the mist of darkness" and "the blackness of darkness" is forever reserved for the unrepentant sinner(2 Pet. 2:17; Jude 13). The above being true, we may also add that the torment of hell may include a physical component seeing that the sinners receive a resurrection body suited to the punishment of soul and body(John 5:28,29). The torment of soul is definite, but we will forever be body and soul creatures for eternity, so the body may be a part of the torment. Jesus must be our ultimate authority on this subject of "Hell". Does Jesus teach clearly on the reality of hell? Yes. In His compassion and mercy for mankind, on numerous occasions, He made known the perils of living wickedly. He forewarned of the horrors of eternal damnation, eternal punishment, eternal separation, eternal torments, of eternal hell fire. His revelation of this sober reality was not an idle threat by which to scare sinners into following Him, but a revelation of what was created for the devil and his angels, and to where those who are Satan-ized will also be consigned on the great day of judgment. In Matthew 25:31-46 Jesus gives us His most complete picture of Hell and its eternal reality. We see that at the Glorious Second Coming of the Son of Man that there will be a universal judgment; That this judgment will be open and solemn; That this judgment will be strict and terrible; That this judgment will be a "Day of wrath and a revelation of the righteous judgment(Romans 2:5); That this judgment will be final and definitive, for all eternity the fate of each one judged is determined. In verse 41 we are told that the King will say to those on his left hand, "Depart from me, ye cursed, into everlasting fire, prepared for the devil and his angels". Prior to this, in verse 34, we are told that the King will say to those on his right hand, "Come, ye blessed of my Father, inherit the kingdom prepared for you from the foundation of the world". Notice that Jesus reveals that both, "the kingdom" and "the everlasting fire" were "prepared" for this moment in time. The kingdom of God and all its glory is opened to all those on his right hand. Those on his left hand witness this great inheritance being opened to those who have done the will of God. Then those who have refused to do the will of God are sent to the place not made for humans, but to the place made for the eternally doomed devil and his angels. 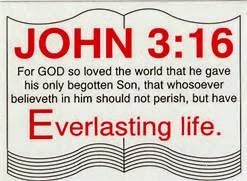 In Verse 46, Jesus says, "And these shall go away into everlasting punishment: but the righteous into life eternal". Let us settle the question of the eternality of hell! For if hell be temporal, why not the kingdom of God. Theologians fight within themselves about the very things their finite minds cannot fathom. Yet they boldly espouse ideas and doctrines that contradict the very revelations of Jesus Christ Himself on the matters of eternal destiny. Let us not be deceived, let us not be swayed by vain questions and speculations about the afterlife. But let the words of Jesus speak the simple and profound realities that should cause us with fear and trembling to work out our salvation(Phil. 2:12). In Mark 9:38-48 Jesus uses a question from John the Apostle to teach on the reality and the horrors and the eternality of gehenna/hell fire. Three times in a very short message Jesus repeats the warning that there will be those "who are cast into hell fire/gehenna: where there worm dieth not, and the fire is not quenched". Reading Matthew 3:5-12 John the Baptist reveals that Jesus will gather the wheat and burn the chaff. St Gregory Palamas comments on the words of the Forerunner, "And He will clean thoroughly His threshing floor, that is, the whole world, and the wheat, those who are fertile for righteousness, He will gather in his granary(the heavenly chambers), but the chaff, as something worthless in the efforts for virtue, He will burn with unquenchable fire. 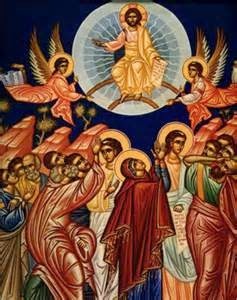 If that fire is unquenchable, then it must also have an inconsumable fuel; this then represents the eternity of hell"(Gregory Palamas Homilies XXII, Homily 59). 2 Thessalonians 1:8,9: St Paul makes it clear, "In flaming fire taking vengeance on them that know not God, and that obey not the gospel of our Lord Jesus Christ: Who shall be punished with EVERLASTING destruction from the presence of the Lord, and from the glory of His power". 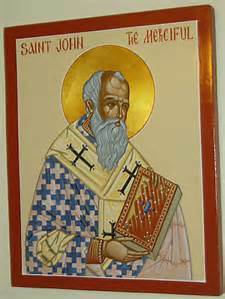 St John further clarifies the answer to the question, "Is hell forever?" 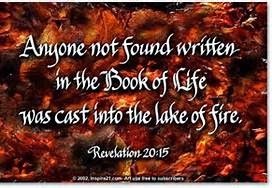 in his Revelation(20:10,14,15) when he reveals that the devil, the beast, the false prophet, and all those not found in the book of life will be tormented in the lake of fire day and night for ever and ever. In Mark 3:22-30 Jesus warns that blasphemy against the Holy Spirit puts a person in danger of "eternal damnation". It appears that there will be degrees of torment for those consigned to hell just as there are degrees of glory for those who enter the kingdom of heaven. Read Luke 12:41-48 and Matthew 10:15 and Matthew 11:21-24. 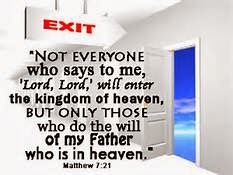 Hell will be a personal experience for the wicked just as heaven will be a personal experience for the saved. Each of us will receive according to what we have done.